To strengthen the Group-wide and global compliance system, the Nabtesco Group has established the Nabtesco Group Code of Ethics. The Legal & Compliance Department, which is in charge of compliance issues, fulfills a central role by increasing employees’ compliance awareness in addition to fostering their compliance with laws and regulations in order to enhance the Group’s corporate value over the medium- to long-term. The Nabtesco Group Code of Ethics shows, from the compliance viewpoint, the basic approach to be taken by members of the Nabtesco Group for the implementation of Corporate Philosophy in their business activities. In order to help employees deepen their understanding of this Code of Ethics and take actions that are in line with it, we have prepared a Compliance Handbook, which is used for compliance education and awareness-raising activities. The Code of Ethics and the Compliance Handbook is available in nine languages (Japanese, English, Simplified Chinese, Traditional Chinese, Korean, Thai, German, Italian and French) on Nabtesco’s website. We also conducted education activities at all Nabtesco Group companies outside Japan to disseminate the Code of Ethics from FY2017 to FY2018. According to the Rules for the Group Compliance Promotion System, the Compliance Committee, which includes experts from outside the company, is in place as an advisory body to the Board of Directors. In addition, by appointing compliance supervisors and compliance managers to support supervisors for all corporate divisions, in-house companies and Group companies both in and outside Japan, we have a system in place to increase compliance system on a group-wide and global scale. A Compliance Liaison Conference is held from time to time in Japan for compliance supervisors and compliance managers to share and exchange information on compliance and preparation is being made to hold the said conference outside Japan from FY2018. We incorporated compliance education into the training provided by the Human Resources Development Department to employees for each position. 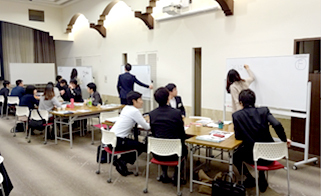 In FY2017, in addition to the training provided by the Human Resources Department to employees for each position, training was provided to all Group employees in Japan (5,730 trainees). We have been conducting biennial surveys to evaluate the penetration degree of the compliance awareness among all employees of Nabtesco Corporation and its Group companies in Japan since FY2006. The next surveys are planned for FY2018. The results of the Compliance Awareness Survey in FY2016 show that the number of respondents replying “Yes” and “Perhaps yes” to the question asking if they understand the word “compliance” increased by 4.8% from the FY2014 survey. We will continue to implement the survey and related activities to further increase compliance awareness among employees. Do you understand the meaning of the word “compliance”? As part of our risk assessment of overseas group companies, based on materials published by NGOs and governmental institutions, as well as questionnaires, we are working to identify high risk countries and regions, and to mitigate risks there via monitoring and other measures. In FY2017, China’s regional headquarters organized a compliance training session. The session was attended by 504 employees from 11 Group and partner companies. In the session, the understanding and spread of the Nabtesco Group Code of Ethics were secured as well as thorough awareness of prevention of bribery, whose risk is high in China. We will continue to support compliance activities led by local companies. Moreover, we publish a bi-monthly newsletter on compliance in Chinese, and strive to foster employees’ awareness of compliance. In FY2017, as in the session in China, Nabtesco secured the understanding and spread of Nabtesco Group Code of Ethics and the prevention of bribery in Southeast and South Asia, where a higher risk exists. As in China, Nabtesco publishes a bi-monthly newsletter on compliance in Thai. In FY2017, Nabtesco secured thorough awareness of the establishment of a global compliance system aimed at preventing bribery, understanding and spreading the Nabtesco Group Code of Ethics for the first time. In coordination with the Human Resources Development Department, we provide employees preparing for overseas assignments with training on legal risks specific to the host country on an as-needed and individual basis. In FY2016, the training was provided to employees assigned to Switzerland, the Netherlands, Germany, China and the US. In FY2017, the training was provided to employees assigned to Germany, Italy, China, India, Thailand and the US. Since FY2011, we have designated every October as “Nabtesco Group Corporate Ethics Month” and have been conducting an intensive campaign, led by top management, to raise awareness of compliance among employees of Nabtesco Corporation and its Group companies in Japan. In FY2017, the CEO offered a message for the month-long campaign. Moreover, compliance meetings were conducted at each workplace. A total of 5,265 employees participated in the campaign activities for the fiscal year, including participants from three Group companies in Japan and one outside Japan. To raise employees’ compliance awareness, we used the intranet as well as handouts to disseminate information to all employees. We will continue these activities using a wider range of tools. We have established a “hotline” system for the purpose of preventing, discovering and rectifying instances of bribery, bid rigging and misconduct. This hotline system, which offers a contact point not only within the company (Legal & Compliance Department) but also outside the company (a law firm), is available to all directors and employees (including fixed-term non-regular, temporary and part-time employees and interns) at Nabtesco Corporation and its group companies in Japan. Contact can be made anonymously, and a system is in place to safeguard whistleblowers from any disadvantageous treatment. In FY2017, we received 50 reports/inquiries through the hotline system. Each was investigated and appropriately dealt with. Also in FY2017, the establishment of a new hotline was completed for all Group companies in China. We plan to implement a hotline system in Europe, North America and Southeast and South Asia in FY2018. We have the Nabtesco Group Global Anti-Bribery Policy in place, considering the elimination of risk of bribery as one of the important areas of compliance. 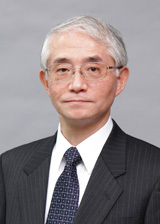 Applicable to Nabtesco Corporation and all its Group companies in and outside Japan, this policy clearly prohibits any acts of bribery including facilitation payments, requires the establishment of internal rules and guidelines regarding entertainment and gifts, and rules out any engagement with third parties who may pose a bribery risk. In addition, this policy is published on the website of Nabtesco Corporation in nine languages (Japanese, English, Simplified Chinese, Traditional Chinese, Korean, Thai, German, Italian and French), along with a message from the CEO. We are working to prevent bribery across the group by rolling our basic policy to each compliance officer in each group company, in Japan and abroad, as well as promoting compliance education and the creation of internal standards and guidelines at each group company. Moreover, we will not engage any intermediary where it offers or is likely to give a bribe. In particular, before engagement of intermediaries such as sales agents, we check bribery risks including country risks and status of any contact with public officials based on internal guidelines. Further, we take appropriate measures such as providing for anti-bribery provisions in the relevant contracts. We participated in the anti-corruption working group organized by the Global Compact Network Japan and actively exchanged opinions and information with other companies. Nabtesco has not been fined for any bribery offense since its establishment in FY2003. We have made no political donations since 2003. In FY2017, there were no staff disciplined or dismissed due to non-compliance with our anti-corruption policy. In FY2017, our costs in relation to corruption was 0 yen. In FY2017 to FY2018, we disseminated the policy to all Group companies outside Japan and assessed their bribery risks by visiting them, in principle. The future plan is to establish related anti-bribery internal rules and guidelines. To ensure compliance with competition laws and regulations on an international scale, Nabtesco established the Global Antitrust Compliance Guidebook in FY2013 in Japanese, English and Chinese. 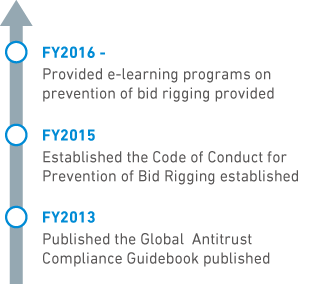 In FY2015, we stipulated the Code of Conduct for Prevention of Bid Rigging, a set of internal rules that defines the practices that are prohibited, rules on contact with competitors, authority of audits by the Legal & Compliance Department and the Business Auditing Department, among others. Then from FY2016 to FY2017, all Group companies in and outside Japan established their respective codes of conduct to the same effect. Nabtesco also puts an emphasis on education to prevent bid rigging and we held seminars on the Global Antitrust Compliance Guidebook at Nabtesco’s offices/plants and Group companies in and outside Japan from FY2013 to FY2014. 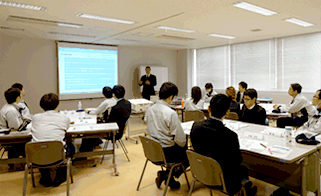 In FY2016, a training session for preventing bid rigging was provided at a meeting of the Corporate Officers Committee, and from FY2016 to FY2017, e-learning programs were extended to sales personnel of Nabtesco and its group companies in Japan. We will continue to undertake measures to prevent bid rigging in order to maintain and enhance the corporate value of the Nabtesco Group. In recent years, a series of incidents of noncompliance have been reported, threatening the existence of many prominent corporations. This has heightened the global business community’s awareness that compliance is a critical basis for ensuring sustainable corporate growth and strengthening competitiveness. The Nabtesco Group Code of Ethics defines compliance not only as complying with laws and internal rules (manuals, guidelines and other operational rules) but also as meeting needs of stakeholders (customers, employees, business partners, shareholders and local communities) through acting in compliance with ethics and social norms. As a prerequisite for expanding its global business operations, the Nabtesco Group needs to reinforce its compliance system in such a way as to encompass its overseas Group companies. The Compliance Committee, which was established in FY2016 as an advisory body to the Board of Directors, deliberates on the basic policy and priority issues related to the Group’s compliance system. As an independent member of the Committee, I deliver opinions from an external point of view to ensure the effectiveness of internal control of the Group. In order for the Nabtesco Group to achieve sustainable growth, each employee is expected to conduct business with high ethical standards and transparency. I am committed to contributing to the reinforcement of the Nabtesco Group’s compliance system through various initiatives of the Compliance Committee.